‘Mix N Blitz’ 40mm Grinder. Our mid-range, value for money grinder in 5 part format, with extra sifting layer. 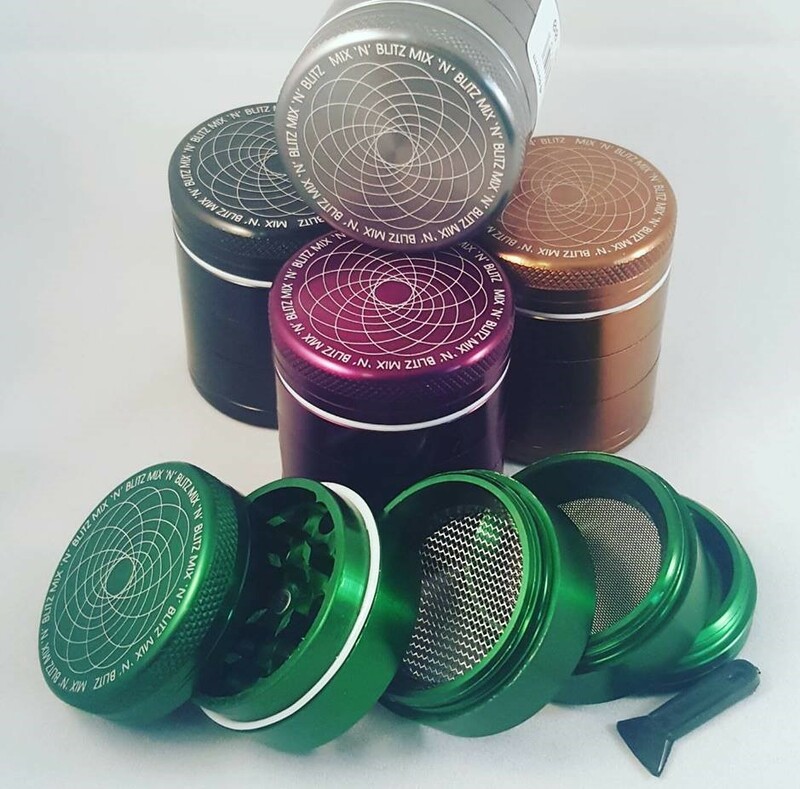 Made from Aluminium, 5 Part Grinder including two Crystal Catchers, Magnetic lid, Diamond-shaped teeth, Pollen screen. Scraper Included. Colours may vary, please put any preferences into the comments section and we will do our best to accommodate.